During the summer tourist season taxi from Podgorica airport to Dubrovnik at the price of 120 Euros per vehicle is the most common transfer outside of Montenegro. 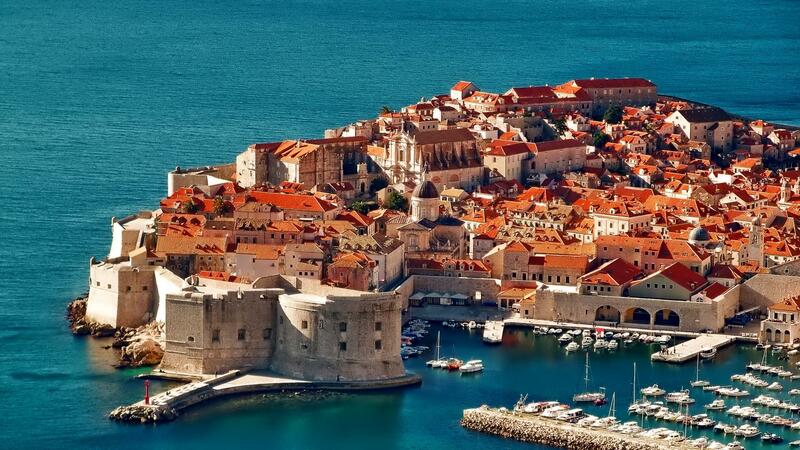 Dubrovnik is one of the most visited cities on the Adriatic coast, and because of that, taxi service from airport Podgorica Montenegro to Dubrovnik - Croatia, is a service which we provide every day, for a large number of tourists. Correlation between Podgorica and famous tourist destination Dubrovnik by bus service is very poor. There is only one departure at 06:00.am, but that usually does not correspond to passengers arriving by plane, because they have to pay for a hotel accommodation. 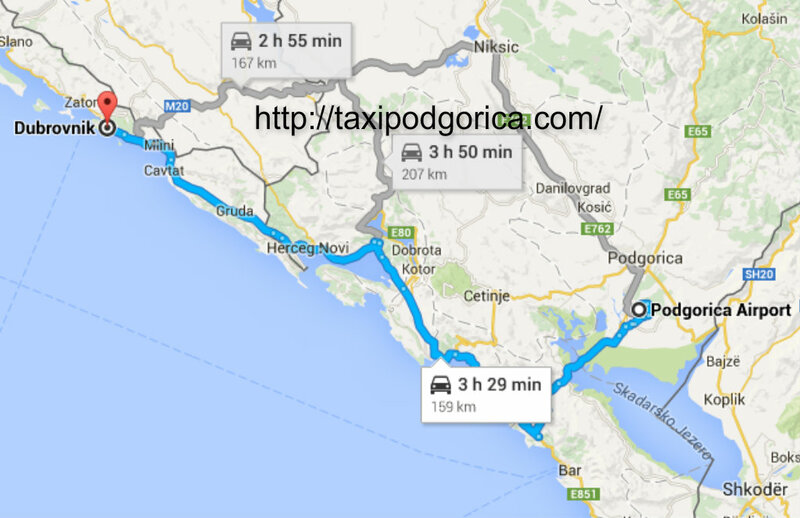 From airport Podgorica to Dubrovnik by taxi, you can arrive using two directions. The first is coastal path, which passes through several towns in Montenegro - Petrovac, Budva, Herceg Novi, but this road is not recommended during the summer season, because of the large crowds at the border crossing. If you are traveling to the airport, and you need taxi from Podgorica Montenegro to Dubrovnik airport Cilipi, please inform us in advance, that we can suggest the best time of departure. The second route for transportation service Podgorica airport to Dubrovnik is via Podgorica, Niksic and Bosnian city Trebinje. This road is the same length as the coastal, but you will spend much less time at the border crossing. Distance from Podgorica airport to Dubrovnik is about 170 km, and ride usually takes 3 hours. You can book your transfer from Podgorica airport to Dubrovnik or other city in Croatia by our simple contact form, or to call our dispatch center. Price for a taxi service from Podgorica airport to Dubrovnik is fixed throughout the year, and ride cost 120 eur in one direction. Transportation from Podgorica to Dubrovnik airport Cilipi cost also 120 eur. Regardless of whether you're going to spend your holiday in Croatia, or you require daily travel tour, you can schedule your taxi transfer from Podgorica Montenegro to Croatia six months in advance. From our company you will always get a professional driver, and comfortable car, which will make your transportation from Montenegro to any destination in Croatia safe and reliable. The most popular day tours are: Dubrovnik daily tourist tour, and visit the shrine of Medjugorje. If you are planning to visit Medjugorje, we can organize your day tour, with departure from all places in Montenegro. Among the others transfers, taxi from Budva Montenegro to Medjugorje is a very common ride.